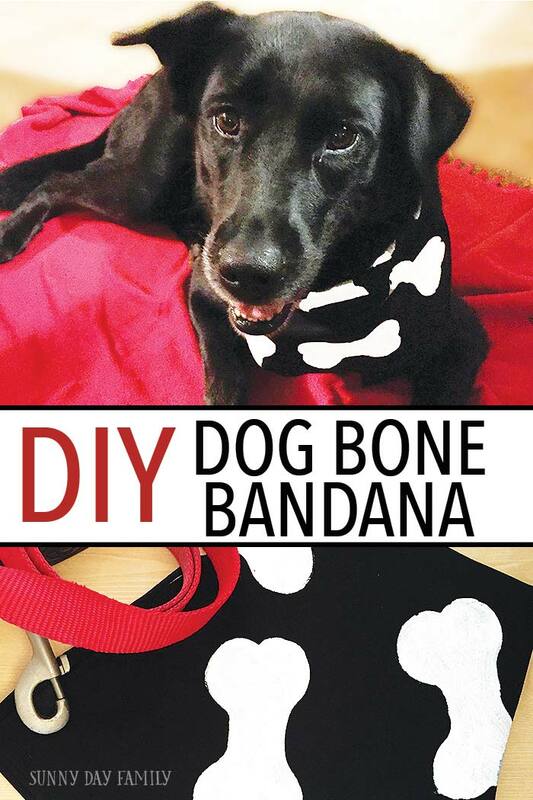 This easy DIY dog bandana is a perfect holiday accessory - so simple and so cute! Who doesn't love a dog in a bandana? I love making my dogs look festive for every season and holiday, and I will admit to dressing them up in full costumes on Halloween. 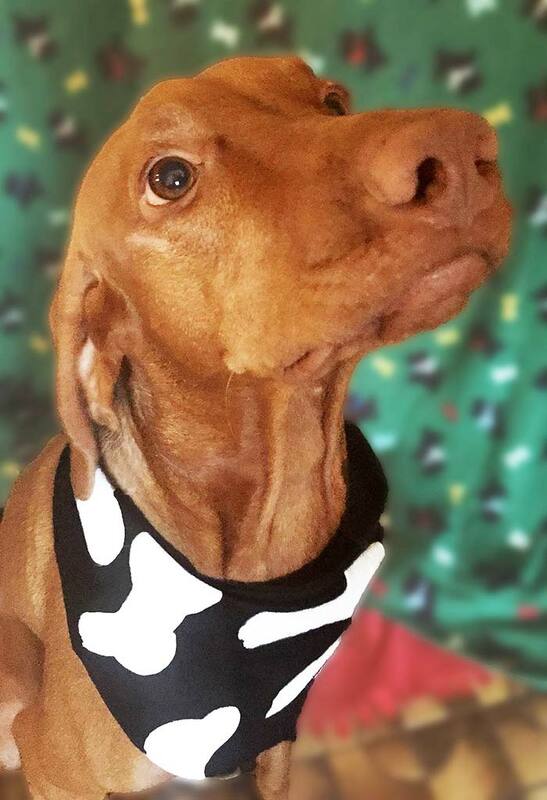 Not every dog will tolerate a costume, but most dogs are perfectly happy sporting a cute bandana to dress up. 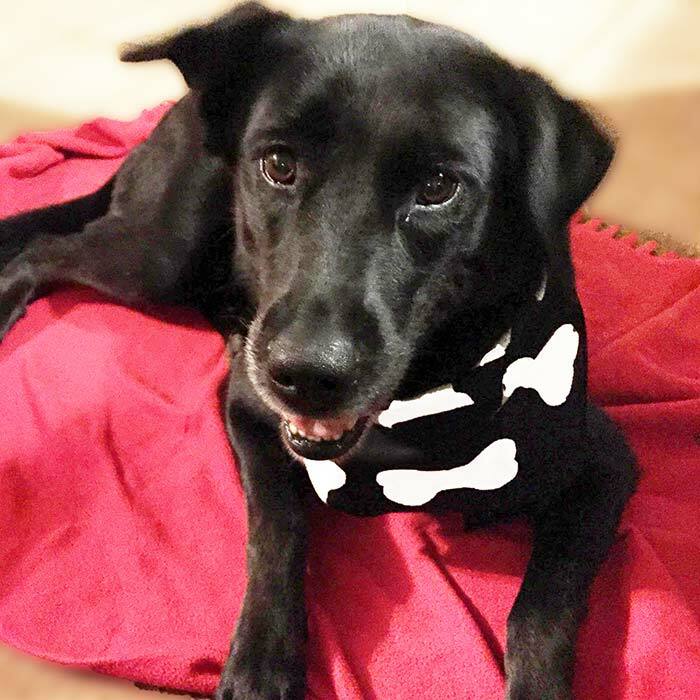 So instead of spending a ton on a costume your dog might wear for a few minutes, why not make a DIY dog bandana that they can wear anytime? I've got the perfect how to for you and some special guest models too! My friend Rebecca from Craft Create Calm created this awesome project for us, and enlisted her adorable dogs to show it off. 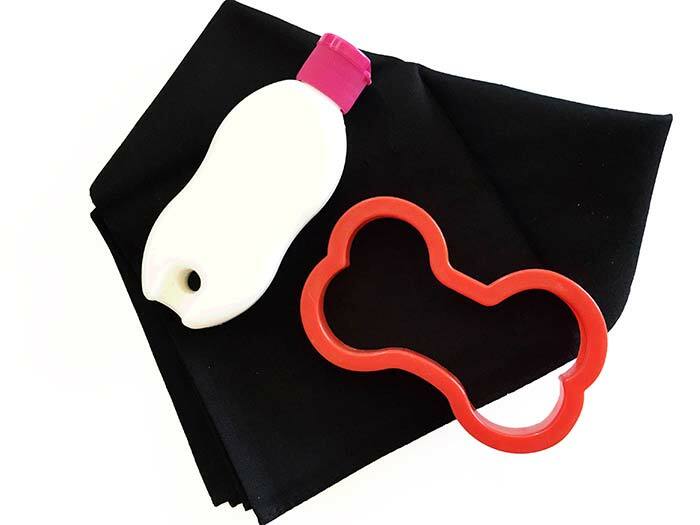 It's a really easy DIY that any pet lover can do, and its so versatile! Do it as shown to make a simple dog skeleton costume for Halloween (when my boys first saw these pictures, they said "Look! That dog is a skeleton!"). Or mix up the colors for the perfect accessory for any holiday - red and green for Christmas, pink and red for Valentine's Day, or green and white for St. Patrick's Day. The possibilities are endless! Lay the handkerchief flat and iron as needed. Fold the fabric in half to form a triangle shape. Place it flat on a table with the longest side on top. This should leave a pointed edge closest to you. Place the cookie cutter on the fabric near the center of the triangle. Sponge white paint on the fabric inside the cookie cutter. Push the paint filled sponge in all the edges for full coverage. Continue using the cookie cutter as a stencil to make more bones around the surface of the fabric. Rotate the cookie cutter sideways and back for a random design. Pick an area on each of the triangle’s straight edges to paint a half or quarter bone using the stencil. Allow to dry before putting on your pet. Then let them show off how adorable they are! 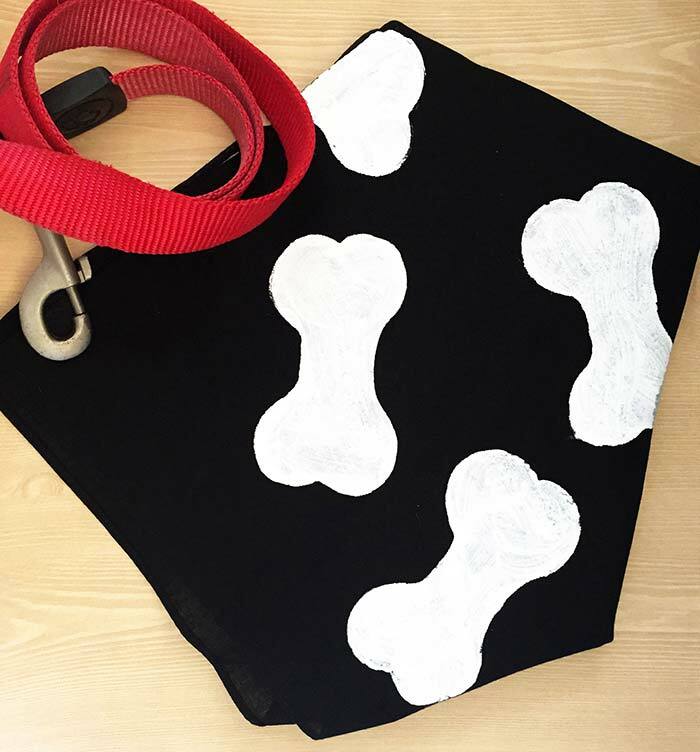 I just love how simple this is, and I can't wait to make them for my own dogs! For more cute dog ideas and tips, be sure to check out our Pets section here. Want even more ways to dress your pet for the holidays? Here you go!